Fairbanks Morse dual fuel engines switch smoothly and seamlessly between gaseous fuel and liquid fuel operation to offer a fully flexible, eco-friendly, and cost-effective solution. 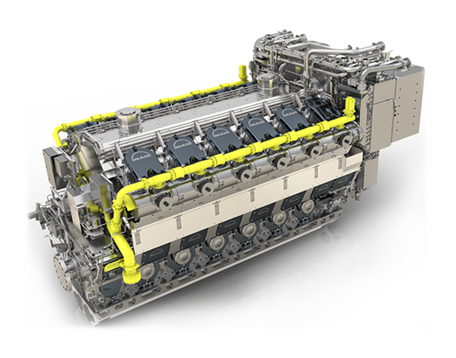 Equipped with revolutionary dual fuel technology to reduce NOx emissions, these engines can operate on 99% natural gas with 1% micro diesel pilot or 100% diesel to offer maximum flexibility. Fairbanks Morse dual fuel engines deliver industry-leading reliability. They are supported by worldwide service centers and field support technicians that keep your engines running at peak performance.